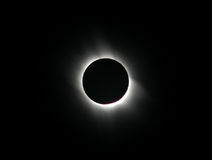 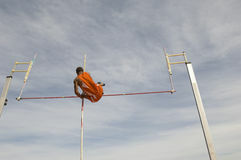 Athlete Clearing the Bar. 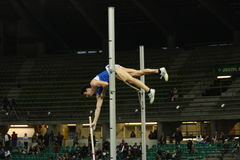 Muscular, fortune. 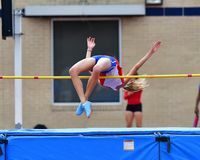 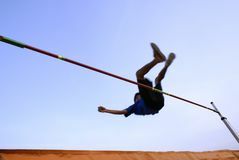 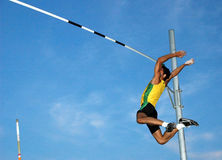 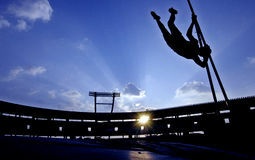 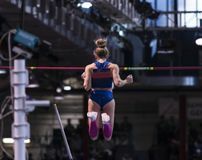 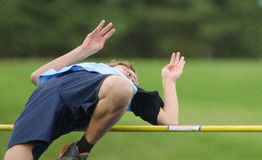 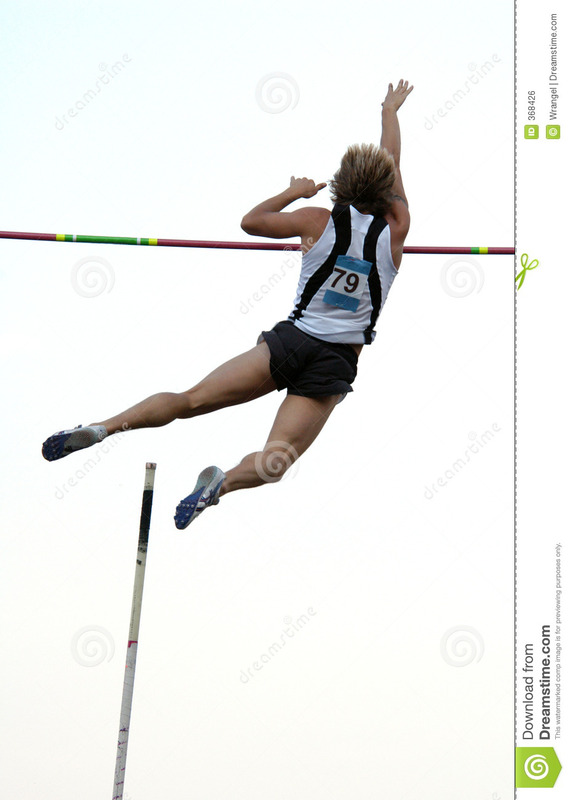 An Athlete clearing the bar during a pole vault event.